Disclosure: This is a sponsored post for We Want Refill but I only share products and campaigns I really believe in. Since committing to a low-waste home, I’ve often dreamed of a time when everyone, everywhere has access to good bulk and refillable options. Imagine walking in to any supermarket, grocery store or co-op and bringing your reusable container to a refill station to fill up on laundry detergent. Or shampoo. Or hand soap. Or even olive oil. Yes, I want refill options everywhere! <—- Click here if you agree! Not only is a refill station just plain cool and easy for anyone to use, it’s also a necessary addition to every supermarket if we want to try and reduce our negative impact on the environment. Every time you buy something in packaging – especially plastic – it costs our planet resources both in manufacturing and in disposal whether you discard it or recycle it. The 3 R’s of “reduce, reuse, recycle” was the mantra of eco-friendly people for a long time, but at least for me, I find that many focus on the last word: recycle. The truth is that reducing and reusing are the more effective solutions to our environmental crisis. The Zero Waste Home popularized an extended version: Refuse, reduce, reuse, recycle and rot (compost). Kathryn from Going Zero Waste refined this list again by placing “rot/compost” before recycle, which I totally agree with! When you’re trying to “go zero waste” or be eco-friendly and reduce your environmental impact, making choices with the order of the 5 R’s in mind is an important step. In other words: first you figure out if you can refuse something. If you can’t, then you try to reduce or use less, and if not then you find an option for reuse, and so on. It’s time to eliminate plastic waste for good. The technology exists to refill household products right in your nearest store, right now. But you aren’t getting access to it. We need your voice in the fight for refill technology. The technology exists for you to refill your consumer household goods in your local store. Everything from lotion to laundry detergent can be transferred cleanly, easily and at a lower cost than you pay now. What’s the hold up? Big retail doesn’t think you want it. #WeWantRefill is dedicated to the mission of giving consumers the option to refill household products in local stores. I talk to people every day about reducing their waste and I know it’s frustrating that not everyone has access to refillable options at a co-op or health food store. 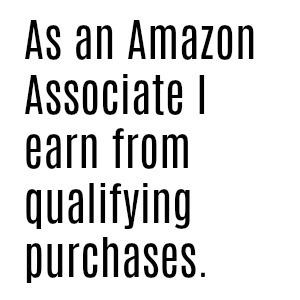 And quite frankly even if you do, you may not shop there regularly. By developing the technology to allow any store to easily establish a refill station, this eco-friendly option would be available to many more people and have a hugely positive impact on the planet and our daily lives. Taking out the trash less often is always a good thing – for the planet and for your home. Please join me in supporting the #WeWantRefill campaign. It just takes a moment sign up and your voice will be an integral part of getting refill options available to the masses. Our actions add up and this is a great chance to make a difference and have your opinion heard. Let’s come together to tell retailers that we want refill options! Disclosure: This is a sponsored post for WeWantRefill.com but I am excited about the potential of this campaign and am glad to be sharing it with you! If you have questions, please feel free to get in touch, I’m always happy to chat: meredithtested@gmail.com.